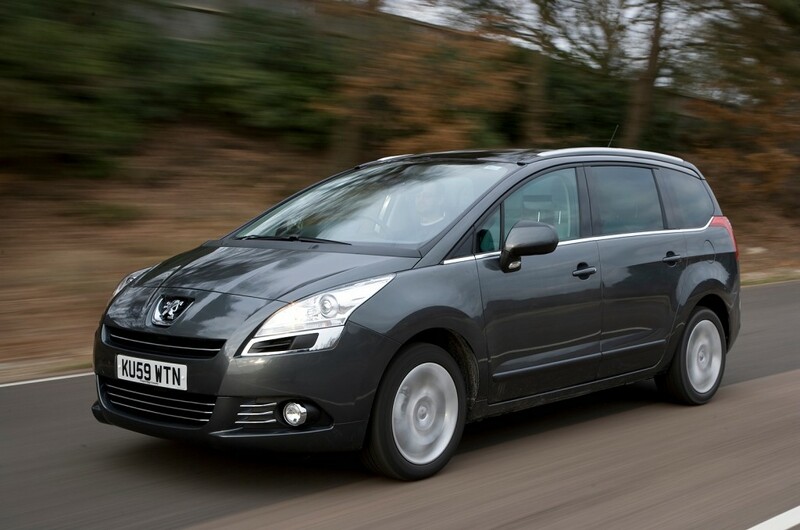 The Peugeot 5008 is the first compact seven seater MPV that Peugeot has produced. You could be forgiven for thinking you’ve seen this car before as it shares the same platform as the Citroen C4 Grand Picasso. The 5008 is certainly worth looking at in it’s own right as Peugeot have done a great job on creating a sylish and very practical seven seater family car. 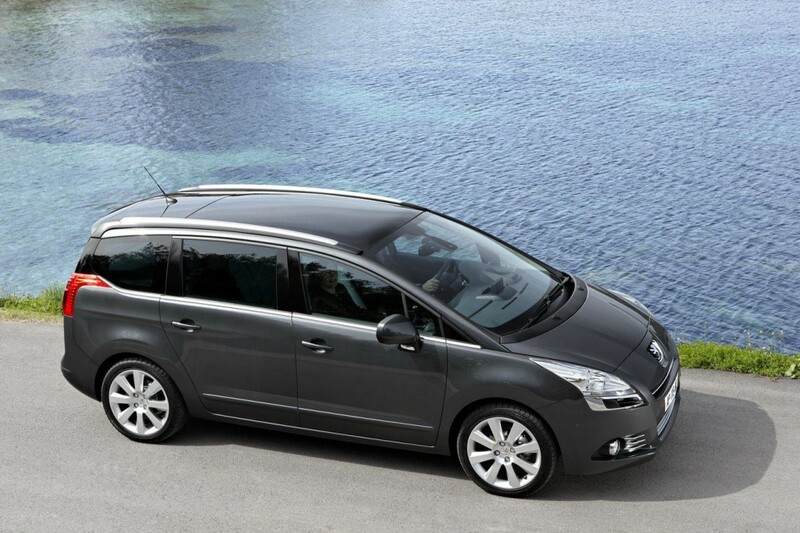 The 5008 is a spacious car for a compact MPV and is eminently practical with all seven seats folding individually. 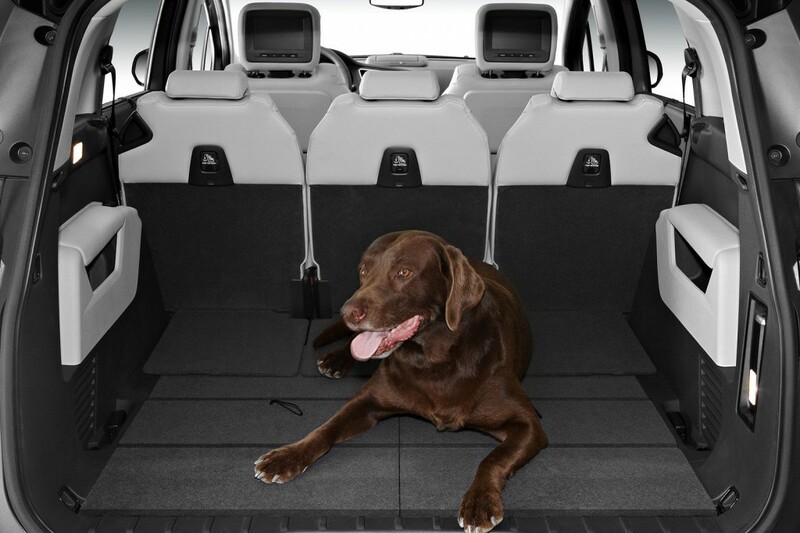 Not only can you fold down the middle row and boot seats to create a load space with a huge 2,600 litre capacity you can also fold the front passenger seat flat as well. A very useful feature if you’ve ever tried to transport long objects….Getting the Christmas tree home will not be a problem in the 5008. Even with all seven seats in use the 5008 still has room in the boot for a few bags and a buggy. The boot seats are fine for occasional use by adults but really work best for children with the amount of leg room and height available. Unlike many compact MPVs there are three full size individual seats across the middle row with the outer ones having ISO-Fix fittings. 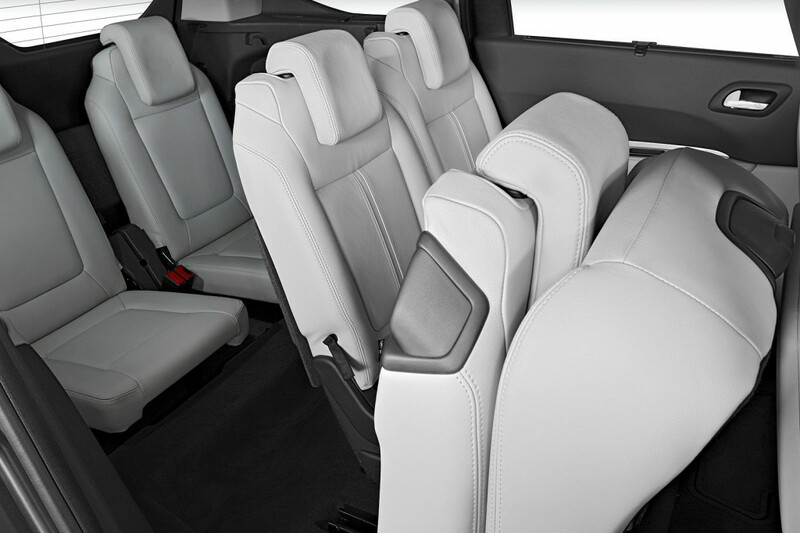 The Peugeot 5008 is the only compact seven seater MPV to have curtain airbags that go along the full length of the car meaning that passengers in the boot have the same protection in a crash as passengers in the middle rows. It seems odd that more manufacturers don’t do this if they really expect all seven seats to be used. This is a big plus for Peugeot. There is no wonder then that the 5008 scored 5 stars in the Euro NCAP tests. There is not much negative to say about the safety of this car. Some owners have reported that the pillars obstruct the drivers view in some situations but that is about it. There are two petrol engines and four diesel engines to choose from. All are very fuel efficient. Even the petrol engines. Though of course you will not get the same fuel economy from the two petrol options as the diesels. The petrol range starts with the 1.6 VTi 120 which has a top speed of 116 mph and 0-60 mph in 12.3 seconds and achieves a combined fuel economy figure of 40.9 mpg. If you need more power Peugeot offer the 6 speed 1.6 THP 156 petrol engine which has a 0-60 mph time of 9.7 seconds, a slightly higher top speed of 121 and only slightly poorer fuel economy of 38.7 mpg. The choice really comes from the diesel engines. The entry level engine is the HDi 112 FAP which has a 6 speed manual gearbox with a 0-60 mph time of 12.9 seconds and top speed of 115 mph. Fuel economy is a respectable 51.4 mpg. The Interesting choice among the diesel engines however is the e-HDI 112 FAP EGC which has a 6 speed electronic gearbox. Performance is very similar to the HDi 112 FAP but the fuel economy is much better at 57.7 mpg which is quite astounding for an automatic. As soon as you get in the drivers seat of the 5008 you will be impressed by the quality of the interior. Everything seems to be well designed and the driver has a nice array of instruments and controls easily at hand. Peugeot has introduced some innovative features in this car including an electric handbrake which is easy to use and gives you more room up front. Most noteworthy is the Head up Display which projects information such as speed onto a clear piece of glass directly in the drivers line of sight so that you don’t have to take your eyes off the road. This is a very nice touch and speaks of the level of detail and use of modern technology Peugeot has put into this car. When travelling in the 5008 you notice very little road noise intruding into the cabin. The soft suspension also helps the comfort levels meaning you reach your destination still feeling refreshed. Though the suspension is not too soft that you feel like the car is rolling around and road holding is good. Peugeot does not have the greatest reputation for reliability but seems to working hard to improve this with the latest batch of cars. I have not come across any major reported problems with the 5008 and most owners report very few problems so you should certainly expect to have no more problems with this car than most other seven seaters. The car is not the cheapest to buy compared to rivals in it’s class but a range of fuel efficient and low tax band engines and reasonable insurance costs should mean that it is relatively cheap to run. The Peuogeot 5008 is a modern, innovative 7 seater car that has practicality and style in abundance. For a compact seven seater you get a great seating layout and a good amount of interior space. If you want to drive something a bit different from the ubiquitous Zafira and S-MAX I recommend taking it for a test drive.